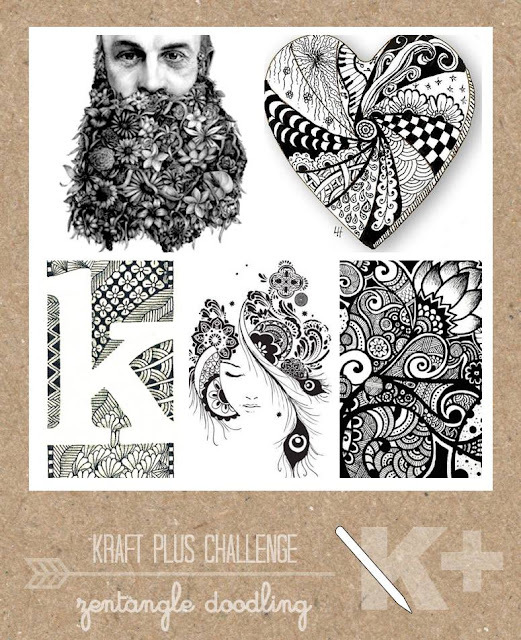 This months challenge at Kraft + certainly is a challenge....but I have to say, once you get started, it will be a FUN challenge! Well, at least that is what I found. It can be as much or as little as you like in regards to the doodling....just as long as there is some somewhere on your creation, and remember, it doesn't have to be a layout, Kraft+ accepts all kinds of creations, so get creative & get doodling, we would love to see you enter! Here is what I came up with....a card. For my Zentangling, I have diecut some leaves, coloured them with mists etc and then got to doodling. If you're stuck for ideas on patterns, google zentangle patterns or head to pinterest....there are LOTS of ideas out there. inspiration & ideas for the challenge. This looks so beautiful! 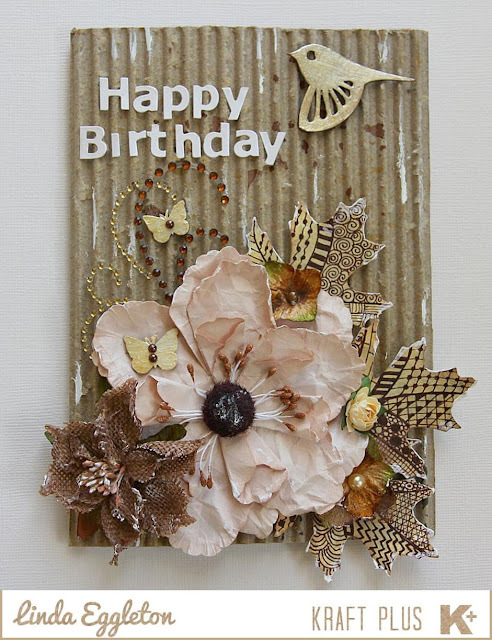 I really love the mix of cardboard with the soft brown and beige. The tiny butterflies are so pretty too. What a fabulous take on the challenge! Love the corrugated card background and love those leaves too! So pretty and textured...I find myself wanting to touch it.